Jenny Ebner was diagnosed with breast cancer in May 2017. She had eight rounds of chemotherapy and surgery, followed by proton therapy treatments. 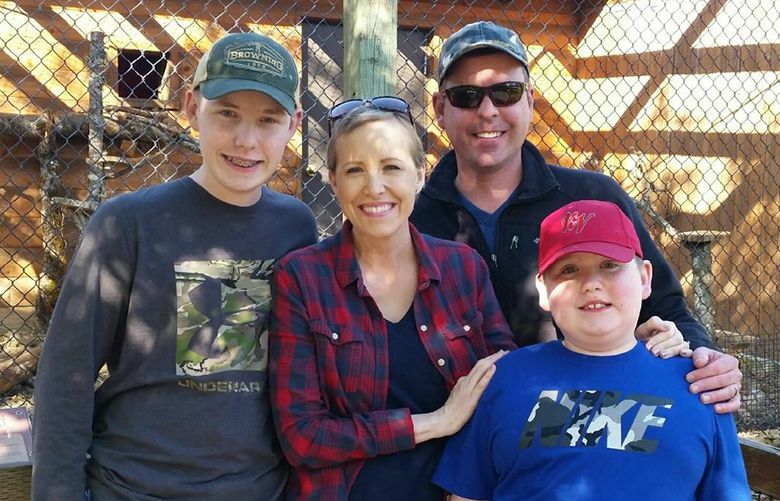 It wasn’t long after Jenny Ebner was diagnosed with breast cancer that she learned she’d need radiation therapy. And since her cancer was on her left side, she wanted to find a treatment that would spare her heart. She has, after all, been married for 21 years and is the mother of two sons. She needs that heart to love her family and live her life in southern Oregon. 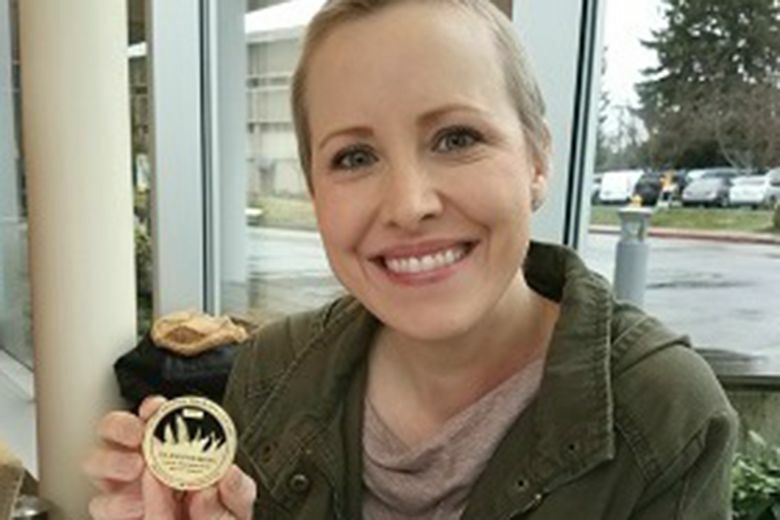 Originally diagnosed in May 2017, Ebner had eight rounds of chemotherapy and surgery before she met with a radiation oncologist in Portland to evaluate further treatment. After the initial meeting in Portland, Ebner and her husband went back to her oncologist and expressed concern about the effect of radiation on her heart. That’s when her doctor suggested the Seattle Cancer Care Alliance Proton Therapy Center. At the Proton Therapy Center, Ebner and her husband met L. Christine Fang, M.D., a radiation oncologist, who reviewed her options. On the other hand, proton beam therapy can treat just the targeted area. This allows the radiation oncologist to better spare the heart and surrounding tissue in some women. And this, of course, is good news for Ebner’s long-term health. With the decision made, Ebner decided to relocate to Seattle for her 36 treatments. Furthermore, she decided to home school the boys and bring them along with her. Her husband, who had to work, joined them when he could. Ebner found the treatment itself to be an easy process that only took a few minutes each day and had minimal side effects. The rest of the time she and the kids were able to enjoy the sights and do things around Seattle. Ebner finished treatment the day before her 40th birthday and it seemed like a great day to wrap up her active breast cancer treatment. Now she is disease free and back to normal life in southern Oregon with her boys, who are 14 and 9. Last summer the family took a week-long trip to Alaska and Ebner was able to hike right along with her husband and kids. She’s happy life is settling down and that they are returning to their normal routines, and she’s still grateful for the care she received at SCCA Proton Therapy Center.